There are a handful of things I always do before I travel, one of which is download all of my favorite podcasts to my phone. Podcasts have blown up a lot in the last year or so and there are now hundreds to choose from — something for everyone. While I have a long and constantly rotating list of podcasts I listen to, there are ten that come to mind immediately as better than the rest. Here are the ten podcasts I always download before traveling! If there’s one podcast I recommend, it’s this. Especially if you are American. In Wrongful Conviction he tells the stories of, you guessed it, people who were wrongfully convicted. Most of these people were not accidentally thrown in jail but deliberately incarcerated for one reason or another. It can be a bit hard to listen to because it’s unbelievable that this can be happening so often but it’s also inspiring. I truly look forward to Mondays for this reason. I knew next to nothing about Dax Shepard prior to discovering his podcast which is now one of my favorites. I found it while poking around the “Top Charts” section in the Apple Podcasts app and decided to give it a try. On the podcast he has interviewed many people I like (Ashton Kutcher, Ellen DeGeneres, Katie Couric) which is what initially enticed me to listen. Since then I’ve gone on to listen to other episodes from people I wouldn’t normally care to hear about (no offense), and it seems like no matter who he is talking to he makes it interesting. I’m not sure there’s a better way to describe LadyGang that the podcast’s own description above. It is, as they say, like going to brunch with your girlfriends. They talk about random girl things, have witty banter, and it’s so popular that they were recently picked up for a TV series on E! Network. They do a great job of bringing in a variety of guests, everything from reality stars and celebrities to medical professionals and entrepreneurs. Note: the “QUICKIE” episodes they release on Thursdays now are not nearly as good as the regular episodes on Mondays, so make sure to start out by listening to a real episode! "Join our host, Who What Wear and MyDomaine co-founder Hillary Kerr, as she chronicles the career changes that can come at any age in our new podcast, Second Life." Second Life is all about women who have successfully made major career changes. Who What Wear and MyDomaine co-founder Hillary Kerr interviews people like Jen Atkin, celebrity hair stylist, Lauren Conrad, and Jessica Alba — all badass women who are game changers in their fields. It’s inspiring without being cheesy (I find there are many cheesy podcasts) and everyone’s story of how they got to where they are is fascinating. "Guy Raz dives into the stories behind some of the world's best known companies. How I Built This weaves a narrative journey about innovators, entrepreneurs and idealists—and the movements they built." How I Built This is similar to Second Life in the sense that it interviews well known people about how they became what they are today and how they built whatever they built. A quick scroll of the episode list will likely interest everyone, with companies and guests from just about every walk of life (likely why you'll always find this show on the Top Charts). It's interesting, informative, and inspirational — highly recommend! The Morning Toast is a millennial morning show by sisters Claudia Oshry of @girlwithnojob and Jackie Oshry of @jackieoproblems. They break down the "fast five stories” (the five most important news items) every weekday on Facebook and Youtube. If you’re like me and you don’t have time to watch an hour long video, it’s also available in audio-only podcast form later in the day. The stories are basically all pop-culture related — no serious world news being talked about here. Claud and Jackie are pretty hilarious, especially together, which is what really makes the show entertaining. They also have some interesting guests, my favorite being Daryn Carp, Andy Cohen’s assistant. If you want to stay up to date on celebrity gossip, every single Bravo show ever aired, and other millennial nonsense, this is your show. Casefile is a weekly true crime podcast hosted by an anonymous Australian man with a beautiful accent. It is very no nonsense and to the point — he doesn’t waste time talking about himself and other BS before getting into the story (translation: I cannot for the life of me figure out why people like My Favorite Murder) which is nice. If you like true crime and Aussie accents, give it a listen. Up and Vanished is no longer airing (I believe there’s a season two happening down the road) but if you haven’t listened to this yet, I definitely recommend it. It’s a true crime investigation into the disappearance of a former beauty queen by a filmmaker turned podcaster, Payne Lindsey. Why listen? He solved the case. I find it to be especially interesting because unlike many true crime podcasts, he didn’t pre-record the episodes to be released once he finished recording all of them. Instead he was still making episodes while the podcast starting airing, so as people listened to it they’d reach out with new information that would help shape the next episodes. It was almost like we were all solving a crime together. I’m not the biggest fan of the host (he is incredibly rude to someone in one of the episodes, in my opinion) but it’s a great series and I still can’t believe he helped actually solve it. 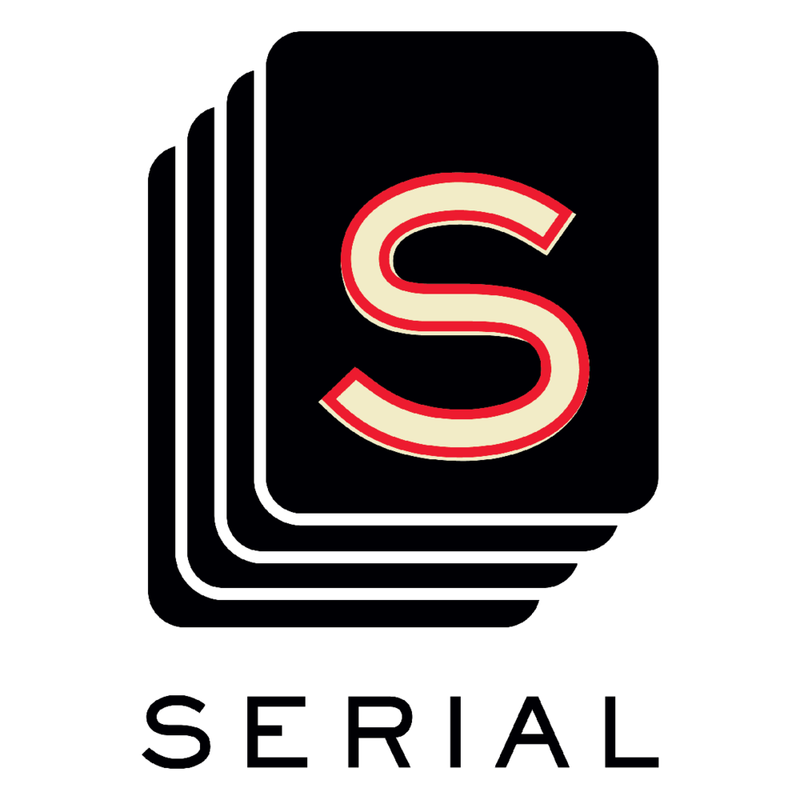 Serial, the OG podcast that turned the world into podcast listeners. If I could I’d have Sarah Koenig and Keith Morrison (totally unrelated to Serial) read me bedtime stories every night. If you were living under a rock in 2014 and somehow missed Serial season one, listen to it ASAP. S-Town is yet another show not issuing new episodes, but if you missed S-Town when it was released last year you should absolutely add it to your list. It’s nothing like you think it will be after reading the podcast’s own description above and it gets a bit sad, but it is incredibly well done. Have a favorite podcast I didn't list above? I am always on the hunt for new ones to listen to, so please drop a comment below!